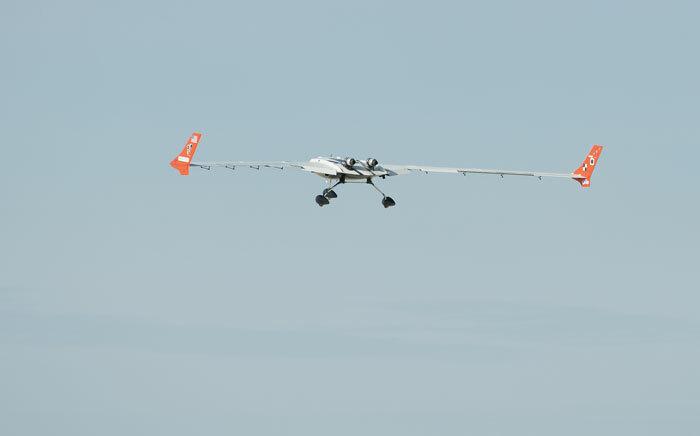 NASA researchers are using the X-56A, a low-cost, modular, remotely piloted aerial vehicle, to explore the behavior of lightweight, flexible aircraft structures. Researchers at NASA’s Armstrong Flight Research Center, Edwards, California, successfully conducted the agency’s first flight of the X-56A Multi-Utility Technology Testbed (MUTT) on April 9. The 20-minute flight marked the beginning of a research effort designed to yield significant advances in aeroservoelastic technology using a low-cost, modular, remotely piloted aerial vehicle. Aeroservoelasticity involves the interaction of an airplane’s automatic flight controls with the response of non-rigid structures to aerodynamic forces. 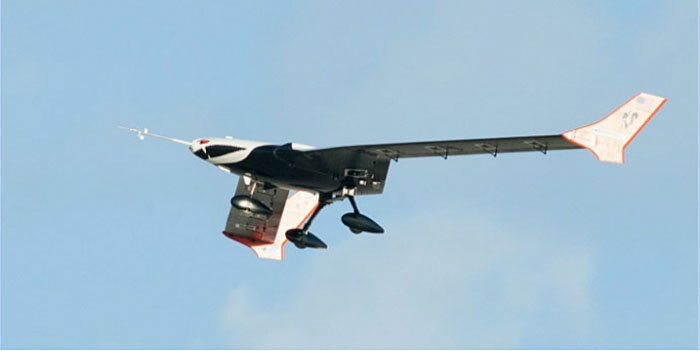 The X-56A is being flown in support of NASA’s Advanced Air Transport Technology (AATT) project’s Higher Aspect Ratio Wing subproject, Performance Adaptive Aeroelastic Wing element. The latest in a long series of experimental research aircraft, or X-planes, the X-56A was built by Lockheed Martin’s Advanced Development Projects division in Palmdale, California, under a contract from the U.S. Air Force Research Laboratory (AFRL), Wright-Patterson Air Force Base, Ohio. Powered by twin 85-pound-thrust JetCat P-400 micro jet engines, the airplane has a semi-flying-wing configuration with winglets at the tips. Lockheed Martin constructed two airframe center-bodies along with several sets of wings because plans called for tests involving both stiff and flexible airfoils. The maiden flight of the first airframe – nicknamed Fido – in June 2013, by Lockheed Martin and AFRL initiated testing to explore technologies for active flutter suppression and gust-load alleviation for new kinds of lightweight, flexible aircraft. The second airframe – dubbed Buckeye – arrived at Armstrong on June 2, 2014. Three low-speed taxi tests were conducted in January 2015 and a medium-speed taxi test was accomplished in March. Buckeye’s initial flights will allow researchers to checkout aircraft systems, evaluate handling qualities, characterize and expand the airplane’s performance envelope, and verify preflight predictions regarding aircraft behavior. The results will inform planning for the next phase of testing. Leveraging the AFRL-sponsored program affords NASA with a unique opportunity to obtain significant expertise in modeling, analysis, and control of real-world aeroservoelastic challenges. The agency’s effort includes participants from several NASA centers; engineers at Langley Research Center, Hampton, Virginia, and Glenn Research Center, Cleveland, Ohio, are involved with modeling and analysis while Armstrong and AFRL are responsible for flight-testing. Lockheed Martin also provides vital assistance and support. Researchers believe the next generation of aerospace vehicles will pose serious challenges to designers’ ability to model, predict, and control potentially destructive aeroservoelastic dynamics and to exploit efficiency gains from lighter, more flexible structures. The use of real world flight systems such as the X-56A MUTT will impart unique knowledge and expertise that will benefit the development of such vehicles across all speed regimes. The X-56A takes off on its maiden flight from NASA Armstrong Flight Research Center, Edwards, California. 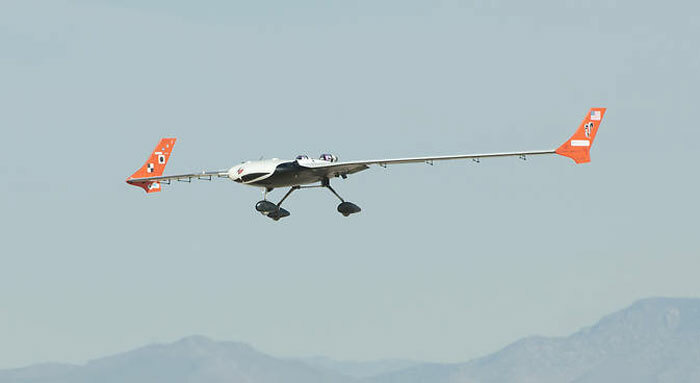 The X-56A Multi-Utility Technology Testbed climbs after liftoff from the bed of Rogers Dry Lake at Edwards Air Force Base during its second test flight. Long, thin, high-aspect-ratio wings are considered crucial to the design of future long-range aircraft, including fuel-efficient airliners and cargo transports. Unlike the short, stiff wings found on most aircraft today, slender, flexible airfoils are susceptible to uncontrollable vibrations, known as flutter, and may be stressed by bending forces from wind gusts and atmospheric turbulence. In order to improve ride quality, efficiency, safety and the long-term health of flexible aircraft structures, NASA is investigating key technologies for active flutter suppression and gust-load alleviation. Research in these areas is being conducted at NASA's Armstrong Flight Research Center with the X-56A Multi-Utility Technology Testbed, a small, remotely piloted experimental aircraft developed by Lockheed Martin Skunk Works for the Air Force Research Laboratory (AFRL). In addition, NASA Armstrong will conduct follow-on testing with the X-56A to support research on lightweight structures and advanced control technologies for future efficient, environmentally friendly transport aircraft. The subscale aircraft is 7.5 feet long, has a 28-foot wingspan, weighs about 480 pounds, and is powered by two small 90-pound thrust JetCat P400 turbojet engines. 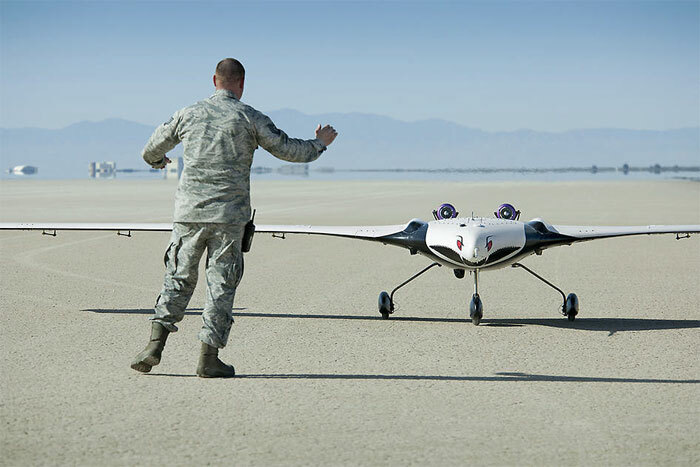 The modular X-56A system includes two center bodies, a set of stiff wings, three sets of flexible wings, a ground control station, and a transportation trailer. The X-56A has easily removed wings and is convertible to other wing configurations, such as a joined-wing planform or a wing-tail configuration. The aircraft is equipped with a ballistic parachute recovery system, which is intended to recover the fuselage and the majority of the aircraft systems in the event of an inflight wing failure. The initial flight tests of the X-56A system, performed by Lockheed and AFRL in the latter half of 2013 and extending into early 2014, collected flight data on highly flexible structures and flutter suppression control technology. Initially flown with a conventional stiff wing, the aircraft is subsequently being used to evaluate active flutter suppression with the flexible wings in early 2014. After these flights are completed, the X-56A will be transferred to NASA Dryden to be used for research into lightweight structures and advanced control technologies for future efficient, environmentally friendly transport aircraft. 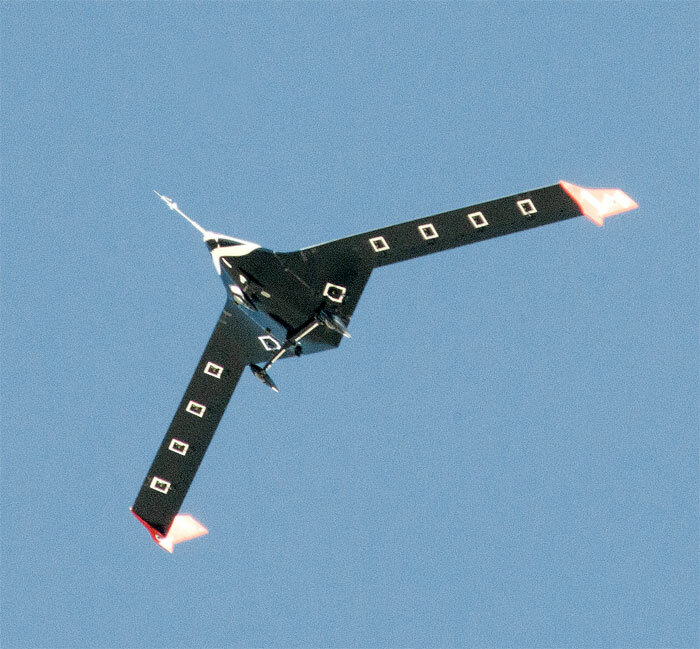 Under a five-year project supported by the Fixed Wing Project of NASA's Fundamental Aeronautics Program, NASA is developing a flexible-wing flight control system and advanced sensors to measure wing shape and detect airflow separation. The project plans to use these to fly the X-56A with a slender, flexible wing with a much higher aspect ratio than currently used on commercial airliners. Research results from the low-speed sub-scale X-56A will benefit future designs for both subsonic and supersonic aircraft. The goal of the X-56A project is to advance aeroservoelastic technology through flight research using a low-cost, modular, remotely piloted aircraft. The aircraft is being tested using flight profiles where flutter occurs in order to demonstrate that onboard instrumentation can not only accurately predict and sense the onset of wing flutter, but also be used by the control system to actively suppress aeroelastic instabilities. Designing the next generation of aerospace vehicles will pose serious challenges in modeling, predicting, and controlling potentially destructive aeroservoelastic dynamics and finding ways to exploit efficiency gains from lighter, more flexible structures. The wing planform of the X-56A shows clearly in this view during a low-level flyover. 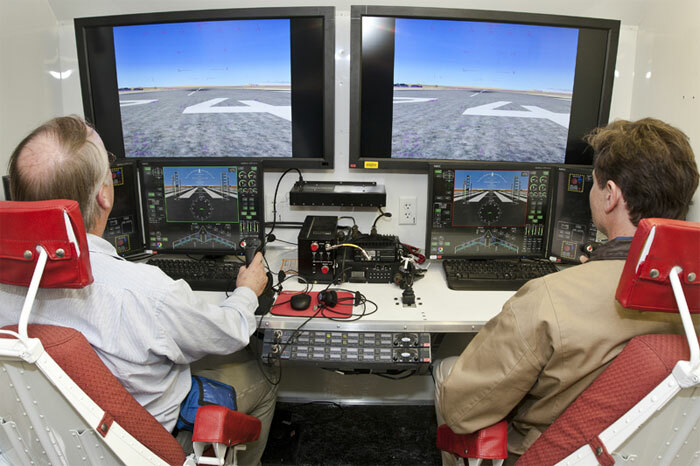 The sub-scale X-56A Multi-Utility Technology Testbed is controlled by two pilots in a ground control station designed specifically for this flight test program.